Grew Up… with two very loving, supportive, and protective parents. Her mother never leaves their small Baltimore apartment, and her father has a wacky sense of humor and owns a joke shop downstairs. Visiting… auditions on the set of The Corny Collins Show, a local dance program. Next she visits detention, for skipping school. Profession… aspiring dancer. Tracy knows she has the talent to make it as a dancer. But she’s overweight, and not everyone in the world of professional dancing is particularly open-minded – especially in Baltimore. Interests… dancing, music, and civil rights. Tracy’s got rhythm –it just comes naturally to her. She wants to share her dance moves with the world, but Edna von Tussle doesn’t want an overweight dancer on the air. When Tracy finds out Edna is treating the black dancers similarly, she becomes passionate about helping them gain the respect – and dance floor – they deserve. Relationship Status… completely in love with Link Larkin, the beloved heartthrob on The Corny Collins Show. He also happens to have class with Tracy, but he’s dating fellow Corny Collins co-star, Amber von Tussle. Also, he doesn’t really know Tracy exists, but that’s obviously only because he hasn't seen her dance yet. Challenge… getting cast on The Corny Collins Show so that she can win the Miss Teenage Hairspray pageant. The show’s producer, Edna von Tussle, definitely won’t cast her. But if she can get Corny Collins to pay attention to her dance moves, she just might have a shot. Personality… friendly, optimistic, and caring. Tracy wants the best for her loved ones and she believes that all of their dreams are in reach. She wants her mom to be able to leave the house with pride, and she wants her best friend Penny to be able to date Seaweed (a great dancer who happens to be African-American) without consequence. Oh, and she wants Link Larkin to be her boyfriend. Is all that too much to ask? 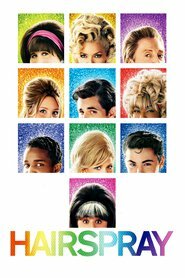 Tracy Turnblad's popularity ranking on CharacTour is #163 out of 5,000+ characters. See our top-ranked characters and read their profiles.